Each truffle is a piece of art! 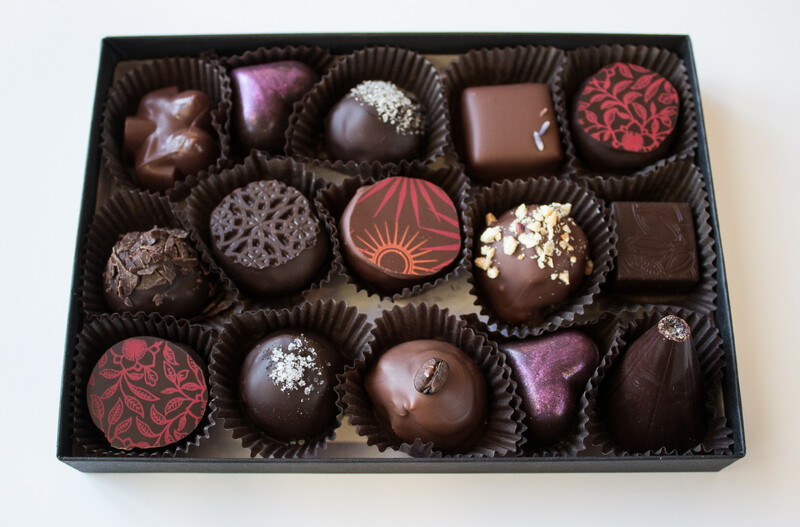 Lovingly crafted at every step, from selecting ingredients to hand-dipping, decorating, and packaging. 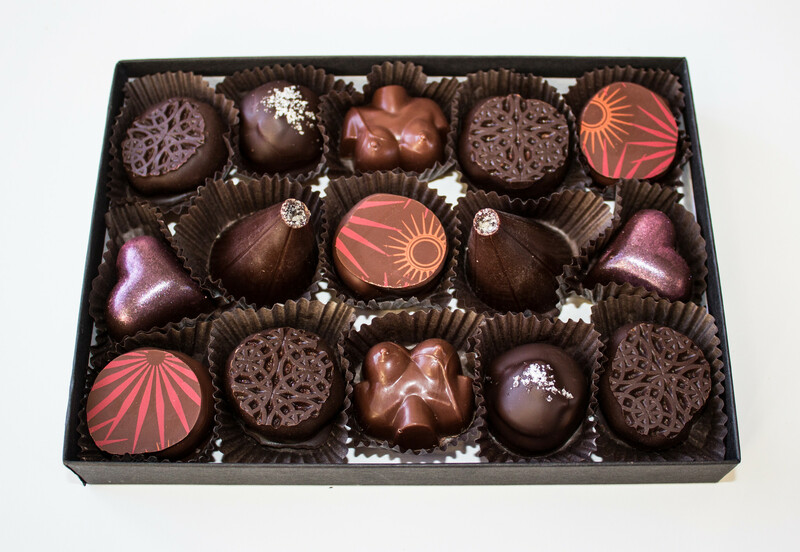 You will receive an assorted selection of the most freshly inspired and crafted chocolates, whatever is hot off the press! 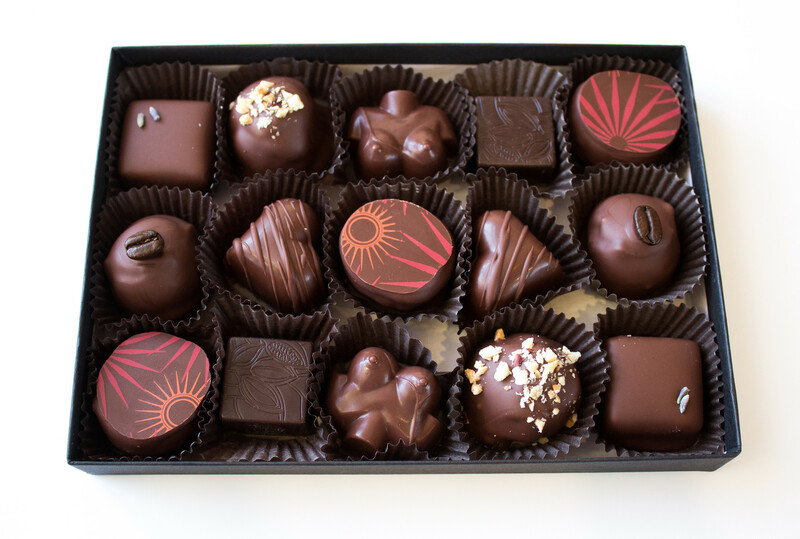 Great for gifts, corporate events, and to share with those you love. 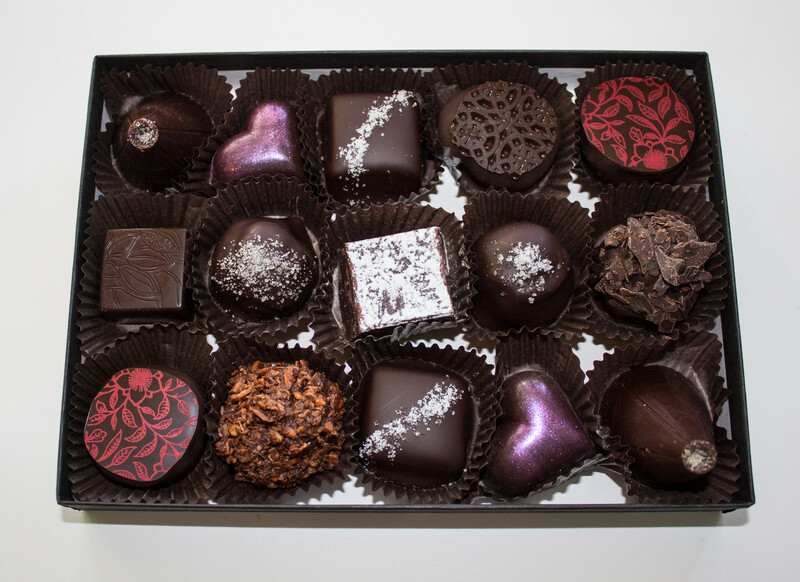 They are best eaten right away as there are no chemicals or preservatives to take away from your real chocolate experience. If you’d like to keep them longer than a week, seal them up and put them in the fridge until you’re ready to enjoy them at room temperature.